On November 9th CRACL hosted an event as part of the ESRC’s Festival of Social Sciences. We drew on our Get Wet project, a two year action research project in which teacher educators and action researchers worked with teachers from five local schools, five local artists and the Papplewick Pumping Station to develop a water literacies curriculum. 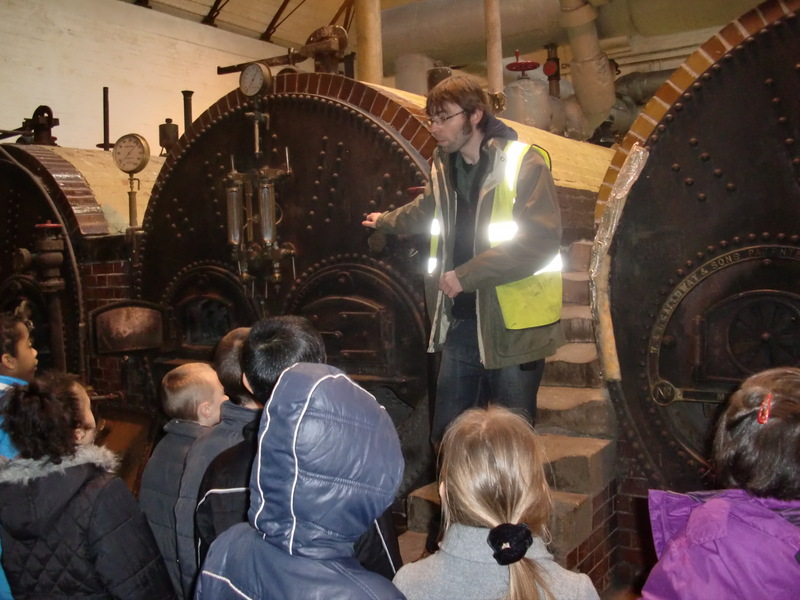 Our initial motivation for the Get Wet project was to support the heritage water museum to develop innovative ways in which the site might be used to underpin robust cross curriculum learning. In other words it was a ‘knowledge exchange project’, although we saw it as a partnership. The project built on the research that we had already undertaken into creative ‘signature pedagogies’. In addition to working with children’s curiosity and questions and using arts practices such as contemporary installation and dramatic improvisation, Get Wet also added a strong focus on supporting teachers to build their pedagogical content knowledge. The results of the project consolidated our view that it was important in curriculum-focused action research to combine disciplinary knowledge-building, diversifying teaching processes and practice and artefact-based assessment. We also noted that, particularly at primary level, children have made very significant gains in learning what would normally be taught separately in science, history and geography – and often in secondary schools, not primary. This has lead us to think about the possibilities for further research. Dragon Breath Theatre followed the action research project with a promenade theatre performance for primary school children at Papplewick; the play was called A Crack in Time. This drew on the curriculum development work from Get Wet. The Festival event was attended by: staff from the schools of Education, Geography and Engineering, Papplewick Pumping Station staff and trustees, members of the public and teacher education students. We watched a documentary about the global crisis in water: the film was Last Call at the Oasis by Jessica Wu. The film raised questions about the overuse of water, climate change, the commodification of bottled water, industrial, agricultural and chemical pollution of water and the human costs of drought. It also canvassed the possibilities for managing the conservation and distribution of water and the direct use of recycled water. Political reluctance to legislate to resolve water issues was also writ large throughout the film. The audience discussed some of the questions raised in the film and began to explore possibilities for further educational and research work around water. Supported by the Centre for Advanced Studies, we intend to follow up on the discussion, not only by looking for support for further research into the water literacies curriculum, but also investigating how we might work with colleagues across and beyond the university to generate a larger interdisciplinary water education project.